The timetable for the third year of our Flower School has just been released. Classes from November 2010 through to May 2011 are now available to book and are designed to suit all levels from absolute beginners through to enthusiastic amateurs. This year we have added our Signature Style Masterclass, Dining Table Centrepieces and Luxury Hand Tied Bouquet classes to the timetable. With only 14 places available on each class, book soon to avoid disappointment. 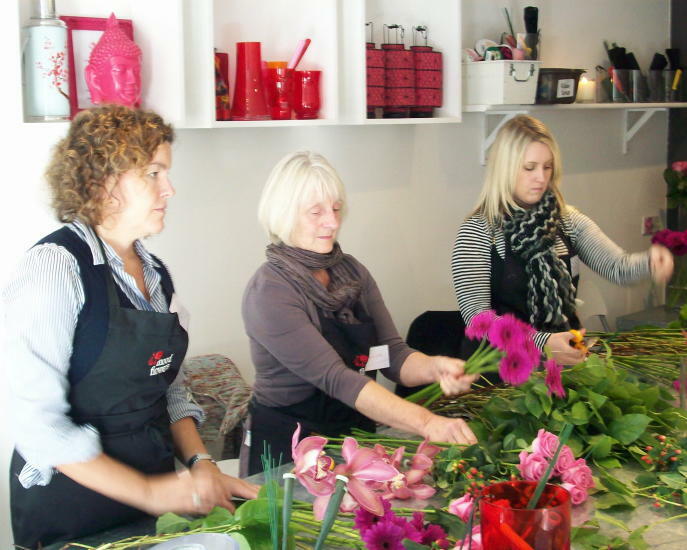 For the full timetable see the Flower School section of our website. Here's a selection of photos from previous classes.